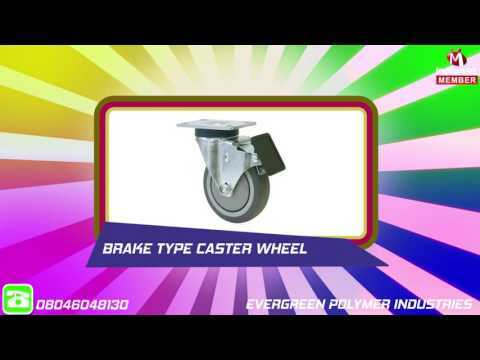 Established in the year 1975, at Ahmedabad (Gujarat, India), we %u201CEvergreen Polymer Industries%u201D are the leading manufacturer and supplier of a wide range of excellent quality Trolley Wheel, Industrial Trolley, Pallet Truck Wheel, Caster Wheel, Mounting Pad, Rubber Coupling, Pin Bush Coupling and Star Coupling. These products are designed and manufactured by our team of highly skilled professionals using high grade material and sophisticated technology. The raw material that we use in manufacturing these products is sourced from reliable vendors of the industry. These products are highly demanded in the market for their features like perfect finish, high durability, robust design, easy installation, sturdy construction, high strength and many more.